Avail from us high quality Universal Multi Rack at affordable price range. 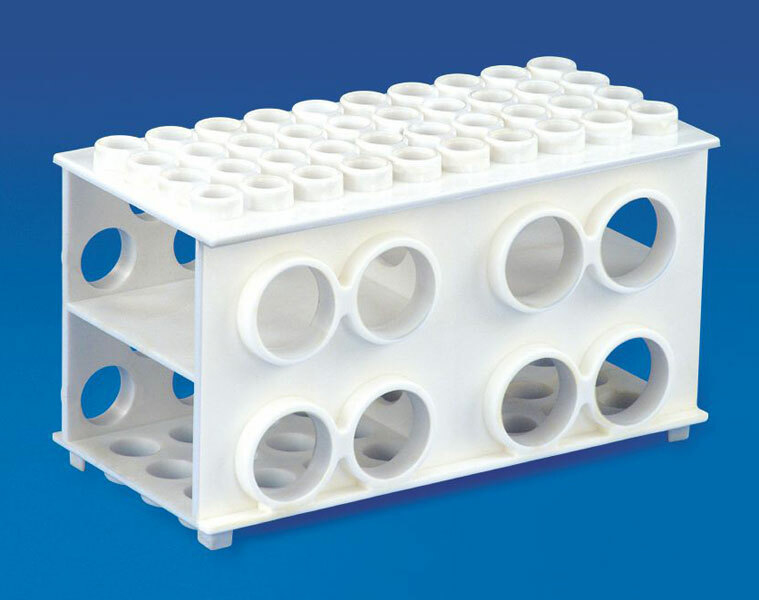 Souced from reliable vendors, this rack is an excellent lab apparatus compatible with different sizes of tubes. Four sides of this rack can be used for tubes of 30mm, 20mm, 17mm & 12mm.High grade Polypropylene is used for its manufacturing.